The JTAG Interface connector provides debugging and emulator support for the STM32F207IG device. The JTAG Interface allows application debugging and programming of on-chip and off-chip Flash devices. 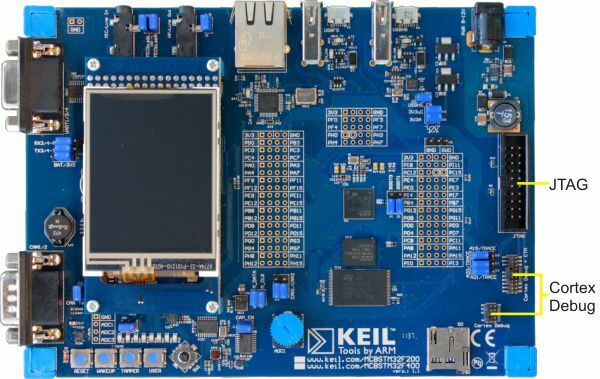 The MCBSTM32F200 board also supports the Serial Wire Mode of Cortex-M3 based devices. In Serial Wire mode, only the pins TCLK and TMS are used. TDO is an optional trace data output pin.